CNC Machining - Procast Technologies Inc.
At ProCast Technologies, we know that in today's manufacturing marketplace having the ability to supply "turn key" castings is not only helpful, it is absolutely essential. It is our "single source" ability that has lead to our on-going success in today's casting industry.With our ability to vertically integrate all "value added" in-house processes, we can insure the highest quality and service right from order processing through to final delivery, delivering you accurate parts on time, everytime! Our state of the art CNC machining department enables us to provide quicker lead-times and control all aspects of part quality. We posses the ability for three, four, and five axis high speed milling and multi-axis turning in a cellular manufacturing environment. 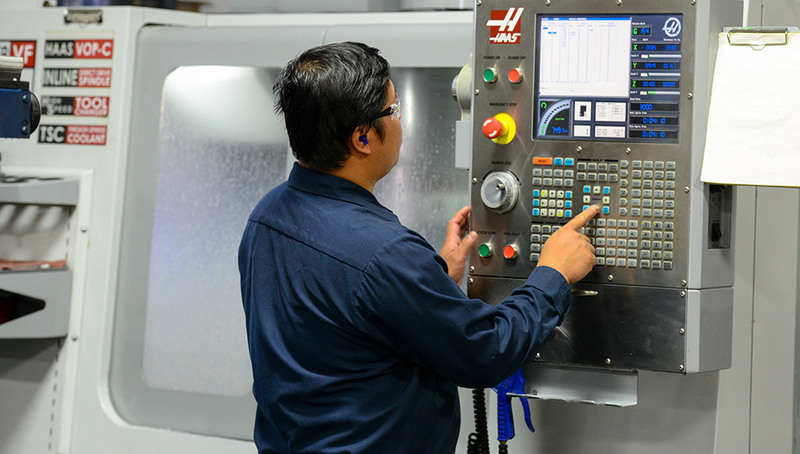 As well, we continually are investing in the newest CNC equipment, programming software, and most importantly our people. Our in-house capabilities can take the stress out of your aluminum casting purchasing requirements, give us a try!